Apple Blossom, located at 2501 N. 22nd Street, Rogers, AR 72756, is a senior living community specializing in Independent Living. The community is a part of Holiday Retirement's family of senior care communities. Spend your retirement in the heart of the beautiful Arkansas Ozarks! Leave the driving, cooking, dishwashing, cleaning, yard work, maintenance and repairs to us. Trust us - you won't miss those everyday chores. However, you may find yourself falling in love with all of the amenities Apple Blossom has to offer. 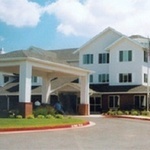 View the complete list of or for all Holiday Retirement Rogers facilities Rogers assisted living communities. For more info on Apple Blossom, contact the community with the form to the right. Apple Blossom is located at 2501 N. 22nd Street, Rogers, AR 72756.